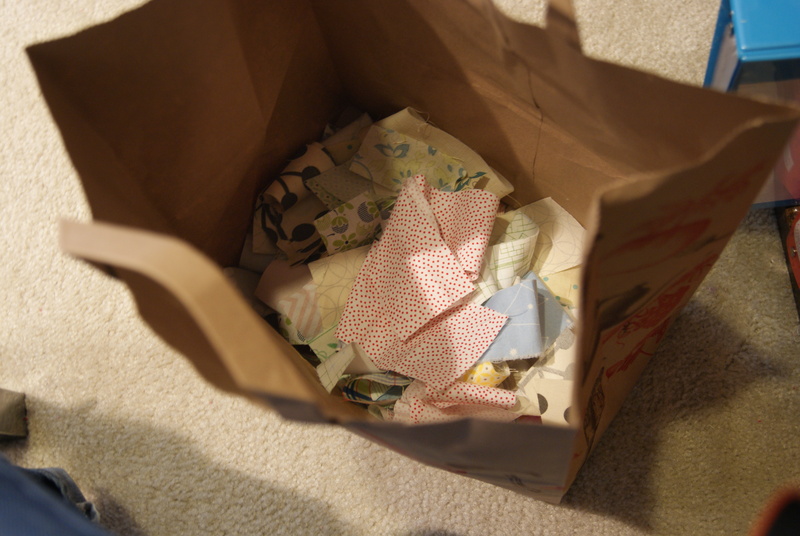 Lately I feel like all the best quilts come out of paper bags. 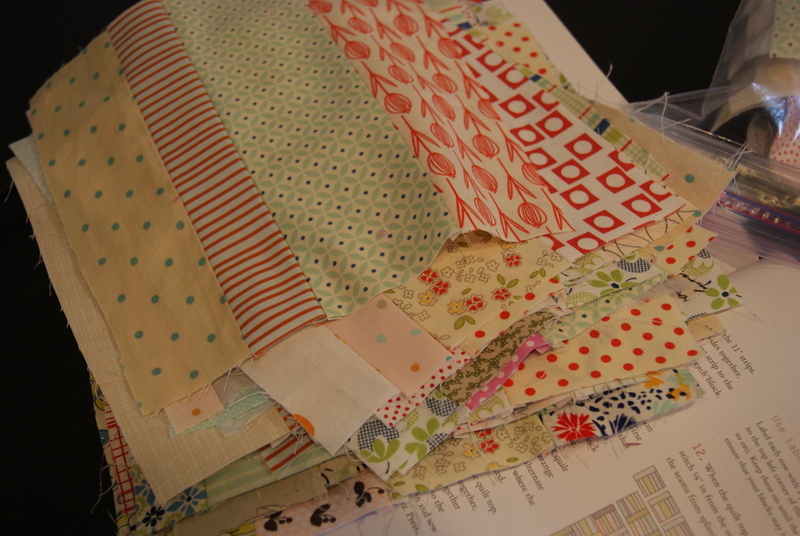 I love the instructions from Cheryl Arkison in Sunday Morning Quilts: “Throw in all the…strips and mix them up well.” Trader Joe’s bag + pile of scraps = Scrappy TAL, and now also = my version of Cheryl Arkison’s Sunday Morning quilt. Super-easy to look at. I love that tulip print; it came in a scrap pack from Sew Fresh Fabrics (Peg has a new, non-Etsy website!) and it totally shines in these blocks. It’s also going quickly, too. I reckon I can have a throw-sized top finished by Friday! I was admiring the tulip fabric too. Congratulations! 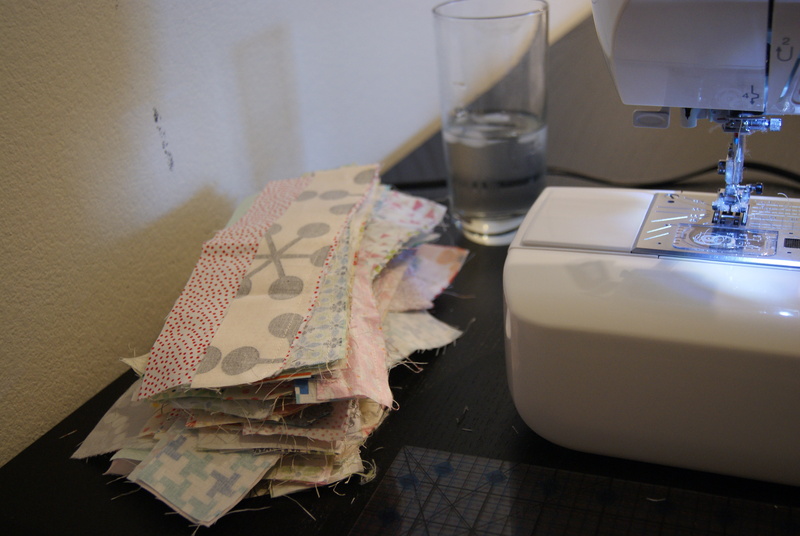 I love the idea of Sunday morning quilting! Thanks for sharing on let’s get acquainted!